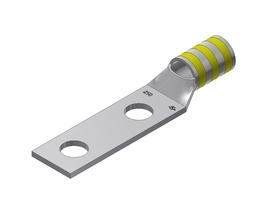 Complete Range of Stud Holes, All NEMA Options! 5/8, 3/4, 1.0, 1.75 inch center to center options in #10, 1/4, 5/16, 3/8, 1/2, 5/8, and 3/4 Inch Stud Hole options. Die Code Selection and Performance In Catalog and ON PRODUCT.